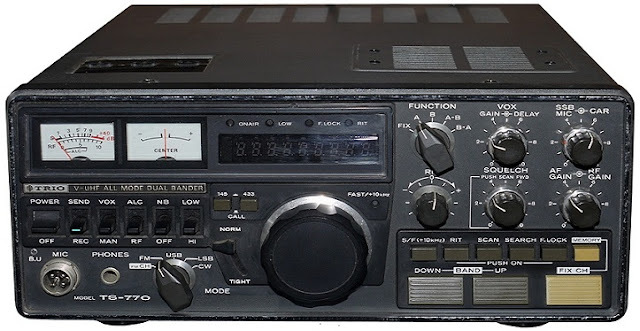 I use a Kennwood TS-770E transceiver at home in the 2 m and 70 cm band. The output of the TS-770E is about 1 W (low power) and 10 W (at normal power) in SSB, CW and FM. I have attached the optionally available external loudspeaker SP 70. This speaker improves the quality in the receiver mode.